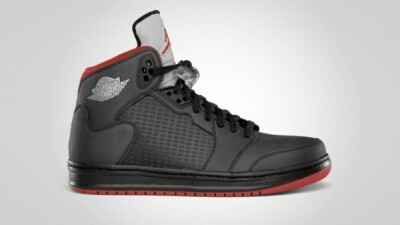 The Jordan Brand made waves with the release of several colourways of the Jordan Prime 5. And this May 2011, the famous shoeline will release another stunning edition of this shoe. The Jordan Prime 5 will come out in Black/Varsity Red-Metallic Silver colourway in May 2011 and the color combination was obviously a Chicago Bulls color, the team that won six NBA titles under Michael Jordan. Like the “laser” and “grape ice” edition of the Jordan Prime 5, the new Jordan Prime 5 is must for all sneaker loves and it will surely one of the hottest items in the market next month.